Part of our friendly food rattle range with it's smiley face, this cupcake with candle is perfect for any celebration! This baby toy is suitable from birth and makes a fun baby rattle but is also ideal as your baby develops imaginative play. 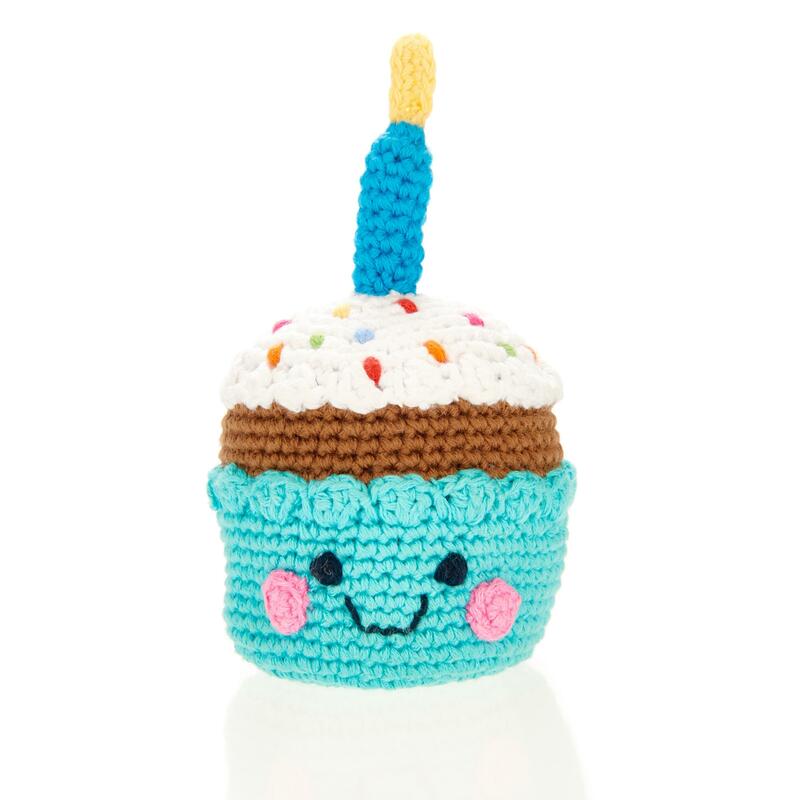 Crochet from 100% cotton yarn, this cupcake is suitable from birth, machine washable and fair trade.